The two new regions of the expansion Battle for Azeroth, Zandalar and Kul Tiras, come with a large list of new world quests. 24 of those are related to pet battling. 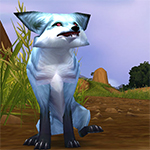 Similar to Legion, they provide different pet related rewards, from bandages over pet upgrade stones to the new Polished Pet Charms. In this section you will find strategy guides for each one of these new world quests. 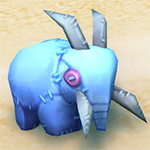 So it seems like about all BfA wqs no longer grant significant pet experience, is that correct? 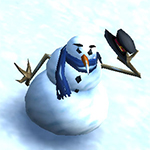 I don't have much gametime to verify many of them, just curious if it was discussed somewhere, have devs clarified if it was intended change or a bug, and whether it spreads to all pet battles vs npc, including old pandaria ones, etc? There was a blue post about it. 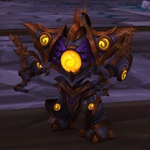 With the release of Family Battler, they made Kul Tiras and Zandalar trainers able to be fought at any time so the achievement will be much easier to complete compared to Legion's. They also reduced the xp so you can't power level pets with that change. So now we need non leveling strategies that are a little faster. It seems like some of the pets choose abilities that will kill lower level pets too. 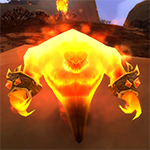 I was doing 'That's a big carcass', and my Pandaren Fire Spirit would take a hit in the first round, be swapped out, the first enemy pet would die and the second would come in with an AOE that killed the Spirit every time. I switched it out for a higher level (but not maxed) pet, and it did cleansing rain like it always did previously. I'd like to suggest a purge of all comments related to the experience nerf, and a sticky put up front. I'm getting tired of having to sort through all the 'exp was nerfed' and 'this strat is useless cause low exp' or 'this strat should not be titled high exp it gives nothing' comments to actually reach useful ones. A sticky about this seems like a good idea. I didn't realize and was searching for answers till I saw this comment. Whenever a tamer is low xp, I like to throw in a level 24 in the leveling slot-high enough to help in a pinch but still able to get a bit of benefit from the effort. I highly recommend the Rematch addon (found on Twitch) to automate tamers - can not say enough good things about this addon for pet tamer battles!! awesome site! I started doing pets a couple weeks before Legion ended and there is no way i could have made progress without it. My biggest problem right now is having so many pets to level i can't seem to stay focused. got lots from the AH for very little gold. Before I knew anything about breeds I was using up a ton of old tokens (from missions) to level pets to 25 by going down the list alphabetically. when i got to the bottom, i started at the top again lol. I suppose I should sell those duplicate breeds of pets now. thanks again for all your help. Get the addon called Rematch, and you can create a pet leveling queue, and customize the order. It is very helpful. hey, first of - one wonderful site you have created! one suggestion - in the BfA list (table on the left) you put the list of quests but not the trainers names, and when trying to find a trainer you first need to search (somewhere else) for the quest related to it. i think replacing or adding trainers names to the list would be a good idea. tnx again for your great site. But it says in the quest tracker what the name of the quest is? For instance, the world quest to defeat Leana Darkwind in Stormsong Valley clearly has the quest title "Captured Evil", so I don't really see the problem here? I agree. 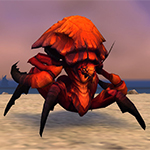 You can only fight these things when the WQ is up anyway. So knowing the names of the targets isn't really helpful at all, in my opinion. You are both correct, to a point. Some people think of the quest by the name of the trainer, and when looking up a strategy for future use they go by that name. So having it cross referenced in the list would be helpful when you don't have the quest to refer to or can't think of the quest name but want to research a new team for the fight.. It actually isn't a bad idea, or something similar at least. 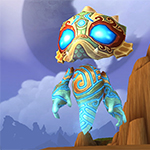 There have been times where I've made my way to the trainer, loaded up my saved team, started the fight, and because the fights are new enough and I don't have them memorized like say Pandaria trainers, I want to open up the strat here on the site. But I don't remember the name of the WQ because I'm forgetful like that and I'm in the fight. Knowing something like the trainer's name or the first pet's name would be helpful. What I currently do is open the map and find the WQ, while in the battle. It works, but an identifier on the list wouldn't be bad. 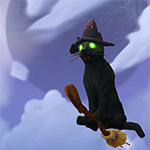 Maybe a indicator (like a green paw) that shows up next to active WQs, similar to the flags on the menagerie list? Sometimes my UI bugs out, and I can't see the name of the currently tracked quest (seems to only happen in pet battles,) so I would appreciate the trainer name as well. I agree. Rematch, by default, will save the team by the Trainer name. Going back to find the team for any reason is then very difficult. I've figured out how to add the WQ name in Rematch, but now have to go back and find the WQ name to match with the Trainer name. Just think having both names would be very helpful. Great site, really love it. Now that I have some of the new charms, are there any pets in particular I should buy first? 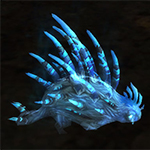 Do any of the new pets intrigue you as pets you might use in strats in the future? Or do we just have such a huge pool of 25s now that we hardly need anything new. 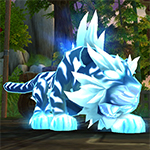 In my opinion, the Azerite Puddle pet has a seemingly very strong set of abilities. And it is magic family, which is usually fairly solid because of its passive cap on damage received per hit. Check it out. I love your pages. One of the things I miss though is that pet battle strategies do not often show what pets the world quest npc has. We are left to hope that someone lists them in comments. 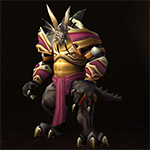 Is there someplace on the site that lists the pets we are fighting against? Thanks for all of your hard work! Every strategy has this downfacing arrow below the pets. Click it and a panel with additional info will open, including the enemy pets. For some few fights I don't have them, but they should be listed for about 98% of all fights here. Gotta ask again about that. When I click that arrow a dropdown menu comes up, and when I click any of the pet's names it sends me to their wowhead page and... well. Wowhead is nearly always wrong. It marks everything as a B/B with 260 power and speed unless someone edits it correctly. 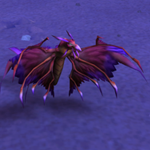 I'm not seeing this mentioned (or maybe I haven't looked thoroughly, sorry ^_^') but it seems like all BfA WQ battle pets' level scales to highest in your team. I just made a team of all lvl 1 for Small Beginnings, and the trainer's pets were all level 1 as well. I meant on this site. Not seeing it mentioned here on this site. But thanks for posting the external link to this! Hey y'all, I am new to pet battles. Since you guys are the experts I was hoping for a recommendation on what pets to boost to 25, I can do 3 right now. 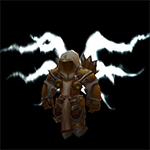 My main interest atm is to be able to defeat the max lvl25 WQ's. I would not be opposed to spending up to 100k if I would be better off buying one. This is what I have to choose from - https://www.wow-petguide.com/index.php?Collection=16968 Thanks. There are several routes for you to go down. 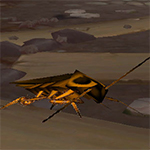 For example, you could collect and level the pets required to beat Squirt in the Garrison then spend a few hours leveling there when she visits on Sign of the Critter week, or, you could find a good leveling spot with fast respawns, like the area around Aki the Chosen in the Vale of Eternal Blossoms, and level your stable there with your Teroclaw and/or a moth (for that specific area, they are all aquatic and flying pets so the Teroclaw is a very strong carrier). 165 unique pets is a very good start. 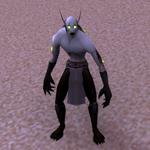 I would have a look at the main pages for the tabs at the top of the page and see which pets you have that are listed and level them, then go and capture wild pets that are used a lot that you are missing, like the Unborne Val'kyr for example - there must be 200+ strategies listed here that use that pet - or Pandaren Water Spirit - you can farm that once per day with your max level Teroclaw, no problem, or, you could pony up the cash and get it from the AH. It depends what it's worth to you. There is no quick and easy solution. To be able to do the wq's in BfA you may only need 3 pets (see Gráinne's post below) but, if you want to do the rest, you will need a much bigger stable, and that, like everything in this game, means grinding. You have already boosted Anubisath Idol. A fine choice! and spend 4 hours getting another 25 or so to max in one day? 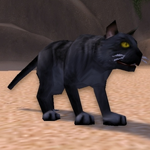 Also, having got one pet to 25, you can now buy and learn caged level 25s from the AH. Some of them may be cheap, and you may prefer to start to gear up with some of those. Grumpy is a priority if you intend to capture a lot of pets. His Howl + Superbark reduces target health to 1, but never kills, making him ideal for that, though he is not otherwise a notable battler. Ikky + Iron Starlette solve a lot of tamer problems. 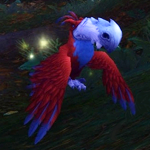 so does the P/P Zandalari Kneebiter you have. 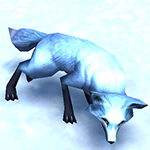 Not great for taming, but faceroll for tamers/quests. See the comment just below. i have found for leveling, right outside the garrison two stormborne whelplings, and a carry pet in the middle as low as lvl 5 (although i have used lower and survived the survivability is not as good) i put in a stormborne first, use Arcane Storm, then Mana Surge, if the first opposing pet is still alive tail sweep till dead, swap in your level pet, and swap it out for the other Stormborne, Arcane Storm, then Mana Surge, and use tail sweep if you need to or switch back to the first Stormborne and Arcane storm then Mana Surge. 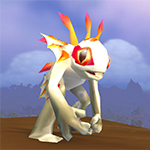 ... i recommend looking at what pets you have, and the pet battle masters what is needed for the 6 pet battle masters in Draenor, start with Ashlei and make the circle clockwise, you can level 2 or 3 level 1 pets daily running that circle, and always take advantage of pet week. if you can get them, get the pet treats both of them, they stack, and this will help too. also with the BfA pet battles, many of them you can level pets with. 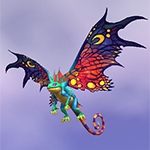 the battles there will level based on your highest pet in the battle so technically you can do these battles with a team of level 1 pets. 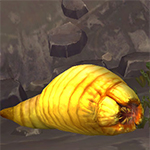 as far as capturing pets in the wild, be sure to have a terrible turnip or something with weakening blow, as that will not kill the pet you are trying to capture . and I will continue using that team until I find a WQ I can't complete with it. Then I'll note it here. I don't necessarily expect to use these three in this order in exactly the expectd way, but I'll just use these three and see if there's anything that gives them problems. This team hurts my conscience, but I will persevere For Science! BfA has extremely easy world quests, AFAICS, and so far, these three have steamrolled everything. I'm using a P/B Anklerender just because. I'm pretty sure that a P/P or S/S would be at least as effective. I'm using a H/H Starlette because it survives AoE in the back line better and because of the extra health when it resurrects after Failsafe. I think a P/P would probably be at least as good, though, because Wind-Up -> Wind-Up on its own without Supercharge is so much more effective. It goes quite well. Mostly destroys everything. A couple can't just be cheesed in the expected way, but so far nothing a little tweaking of the sequence won't fix. I got started because of a forum comment. 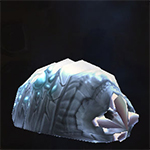 Some people just want to do the pet WQ for the rep. Damfino why, because it seems a lot of trouble to go to for 1200 rep per day, but they do. So here's a ready-made cookie-cutter team for those folks. Well, I've just come up against the first WQ in BfA that stumped my team. Rogue Azerite. Tough. My team might have made it but for the Starlette being ineffective against Elementals, and these are some beefy Elementals. I am just now thinking that a third Bleed & Stampede pet to replace the Starlette might have worked, but I can't go back and try now. Lots of RNG anyhow. I actually did it with an S/S Slithershock Elver. Dodge, Deep Bite, Dive. 1. Keep Dodge on CD. kills the first, and either kills or gets close to killing the second, after which the third is an easy kill to finish. I'm fortunate to have a large pool of pets to use, but your efforts will absolutely be appreciated by a lot of players, I have no doubt. Thanks for the hard work. Thank you! 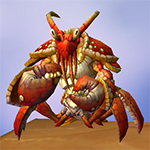 I posted about it in this thread, https://eu.battle.net/forums/en/wow/topic/17623172161 but just to copy one important bit here for anyone wanting to cheese these for whatever reason. 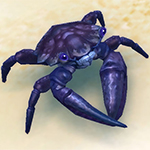 Ikky: Black Claw -> Flock (-> Savage Talon if the first opponent pet is still alive). If the first opponent pet dies during Flock, you have a choice of applying Black Claw or Flock to the second opponent before you die. Anklerender / Kneebiter / Footslasher: Black Claw -> Hunting Party -> Leap. If Ikky already applied Black Claw, you don't need to apply it again. If Ikky already applied Shattered Defenses from Flock, you might want to take advantage of that with Leap before you start your run. Depends. Starlette: Wind-Up -> Supercharge -> Wind-Up. Wind-Up -> Powerball (however many times) -> Supercharge -> Wind-Up. Finish up if necessary with Wind-Up -> Wind-Up or Powerballs. Not all battles will necessarily use this exact formula, but that's the default. There is some unavoidable RNG. If one of the Shark Blood in the Water crits, for example, or your Starlette misses its big Wind-Up in a Sandstorm, you'll probably have to start again, but otherwise it goes very smoothly. Is there any possibility to import all rematch scripts for the entire BFA in one go, instead of doing them one by one ? Rematch Strings or tdBPS Scripts? Im assuming the TD scripts need to be input on each team seperately, but if thats possible to get with the initial import then i would be a happy Tauren. 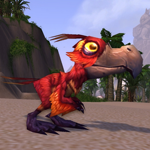 I have a rematch string that includes all 24 BFA world quest pet battles and notes, but unfortunately it is 16600 characters long which exceeds the posting limit here (and on wowhead). If you want it, PM me and I'm happy to send it. 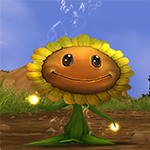 Otherwise, I've tried writing a guide on wowhead and will post it here, but it is currently awaiting moderator approval. I also want to make sure that Aranesh is cool with that idea before I let it go live. 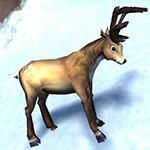 I am curious about suggestions on any "must have" new pets. Any beta testers taken them for a spin? 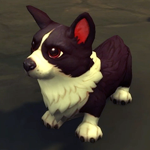 I have a couple hundred polished pet charms and am wondering if there is a couple good ones to make life easier to start. 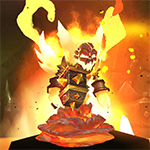 The first I bought was the Alliance Lil' Siege Tower. Got B'aal shortly after that (not bought, obviously), then Bumbles (again, not bought). So far I've had one fleeting moment when I thought I could use B'aal for a strat but then I tried it again and he got wrecked. It seems rngsus doesn't like B'aal at all. 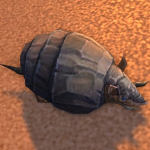 The only pet(s) I've acquired so far from BfA that I've been impressed with is(are) the River Frog(s) from Stormsong Valley. The P/P version is unbelievably overpowered and they have Pump, Water Jet and Bubble all in different slots. I highly recommend getting at least 1 P/P and 1 P/S. I'd love to see some discussion on the pet team for fighting Baa'l. 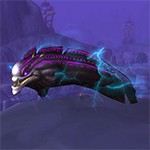 The weakened Baa'l should be easily dealt with using any team of 25 pets. 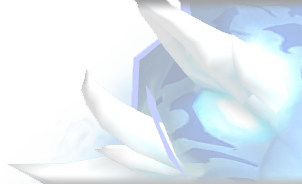 I would be very interested to see a team capable of beating the original, pre-Uuna blasted form of Baa'l though, if it's even possible. I didn't need more than one pet with a couple of Dragonkin attacks. When he's debuffed by Uuna, his health is only 1100, which equates to about what he's at when he's lvl 16. Don't think there's a way to beat the big version, cause it's only ability does exactly what it says... it kills your pet (or more precise put it to 0 health if possible)... no Decoy avoid, nothing, only Undead passive and Mech ressurect extend this a bit. Have the WQ started? I couldn't find any on my Map this morning. You need to get to level 120, raise 3 particular reputations to friendly, and progress the War Campaign to unlock World Quests. 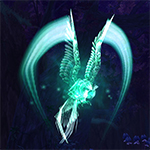 The World Quest tracker for pet battles turns itself off (again) by default. On your map, you can turn the tracking back on. Thank you Ithinklspider! I wouldn't have realized that unless I looked here, now on to the battles! Thank you SO much IthinkIspider! You saved me soooo much time and distress! I was having the same issue and this fixed it! I thought it was a pet addon.